A couple of weeks ago LG display updated that it currently has a monthly capacity of 14,000 substrates at its Gen-8 OLED TV fab. The company announced plans to grow this to 34,000 monthly substrates by the end of the year. 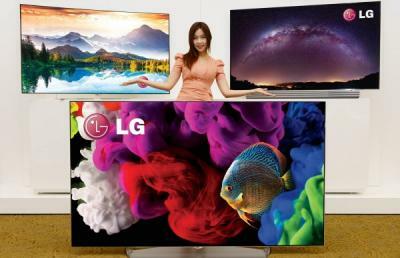 In terms of OLED TVs, LG will be able to produce 600,000 panels in 2015 and 1.5 million in 2016. Now it is reported in Korea that the cost of that capacity expansion is estimated at $915 million. Earlier today it was reported that Samsung Display plans to invest $3.6 billion from 2015 to 2017 in a new OLED Fab to produce small- and medium-size displays. 34,000 * 12 = 408,000 -- where they get extra 200,000 substrates to produce 600,000 or 1.1 million? You're mixing substrates and panels. Each Gen-8 substrates can be used to make several OLED TV panels. Considering that yields are less than 100%, capacity increases are incremental, and product mix between 55", 65" and 77" - makes it a bit complicated.